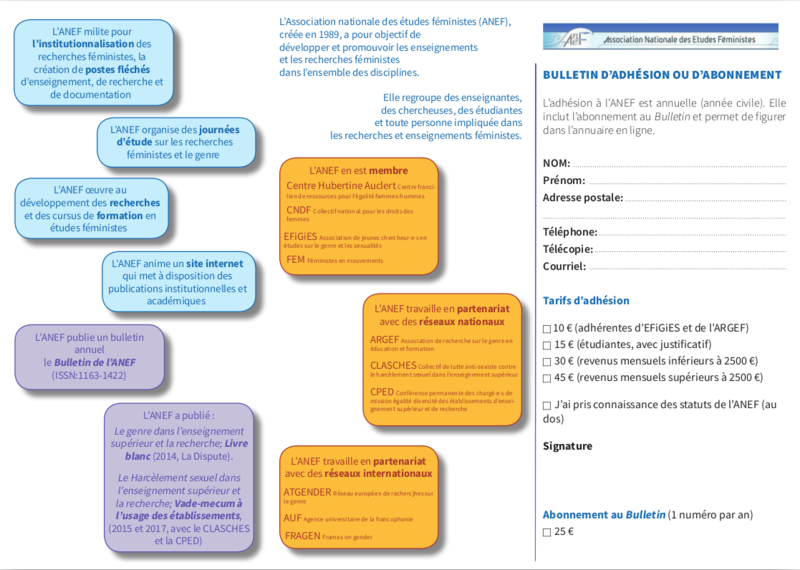 Le réseau ATGENDER, The European Association for Gender Research, Education and Documentation, poursuit son activité d’édition de manuels pour enseigner le genre. 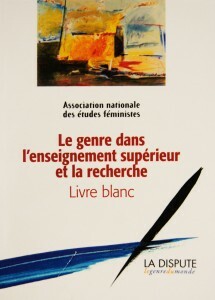 Le dernier en date, « Teaching with Feminist Materialisms. Teaching with Gender. European Women’s Studies in International and Interdisciplinary Classrooms », est paru fin 2015 sous la direction de Peta Hinton et Pat Treusch. 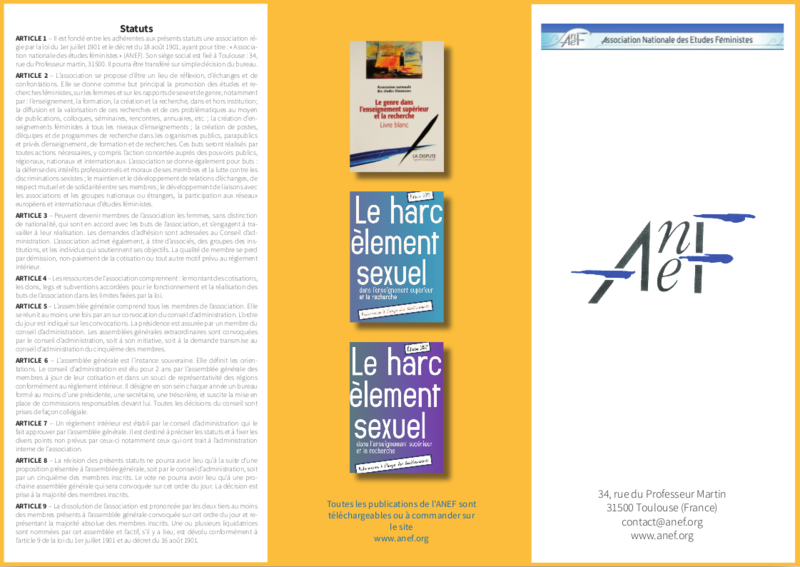 Il est disponible en ligne. As a growing and wide-spanning field of research, teaching, and collaboration, feminist materialisms are taking up increasing space in our pedagogical settings, especially in queer and feminist classrooms. Whether as a theoretical topic, as a methodological strategy for conducting research, or in developing learning tools, feminist materialisms work to foreground the complex forms of relation and accountability that mark processes of inquiry, and to re-imagine the already innovative feminist classroom experience. A strong part of this contribution of feminist materialisms is the turn to the very materialities at play in knowledge production, and as these take into account the intrinsically entangled human and more than human actors that operate in and alongside the classroom, and the bodies, spaces, practices and knowledges co-produced there. This volume of the Teaching With series assembles a collection that works to map European Feminist Materialisms across a diversity of classrooms, and to demonstrate the contribution these current approaches make in thinking and transforming pedagogical praxis. It provides insight to some common aims, projects, and futures of the field. It offers a compilation of very practical teaching and learning examples to put to work in the classroom, including specific assignments, workshop ideas, and questions for discussion.